This baby's first curl box is made of fine Irish pewter. This Irish baby keepsake box is for storing a lock of hair. 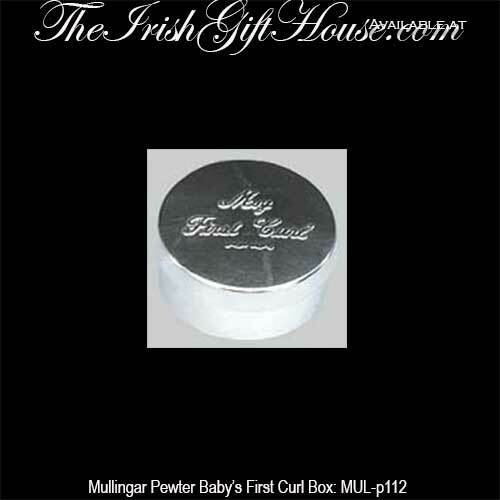 The Irish baby curl box measures 1 1/2" diameter and it is made of lead free pewter. The Irish baby gift is made in Ireland by Mullingar Pewter and it is gift boxed, complements of The Irish Gift House.